When it comes to the longevity of dentures and when they should be replaced, there are no definite figures, though most people wear them for between four and eight years before remaking. The need to replace full dentures is usually attributed to the irreversible changes in the contour of the wearer’s jaws following deterioration of the supporting bone. 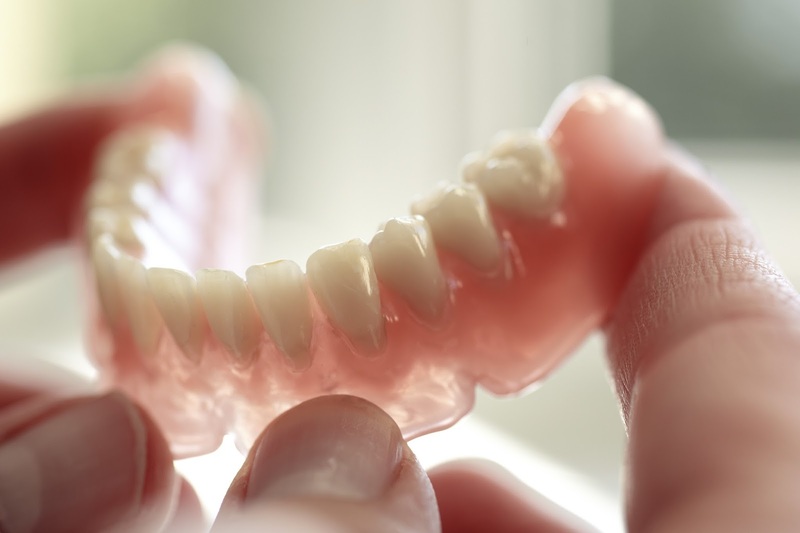 In some cases, complete dentures can need replacement due to deterioration of the materials used to fabricate them. Excess wear of your denture teeth not only affects your ability to chew effectively, but also adversely affects the esthetics and contributes to problems pertaining to lost vertical dimension. This refers to the linear distance between your upper and lower jaw, measured from the patient’s nose to the chin. The vertical dimension is different for each individual, and must be carefully evaluated for correctness. In the years following tooth loss or extraction, the jawbone begins to change its shape and shrink, reducing in overall size. Over the long-term, your once accurately fitting full dentures become loose and unstable. Furthermore, you lose vertical dimension, implying that the distance between your nose and chin decreases. Since the deterioration of the jawbone is slow but progressive, you may not realize the change immediately because you gradually adapt to the shift. Patients who wear the same full dentures for an extended period of time suffer significant loss of vertical dimension; resulting in a shrunken, hollow facial appearance, especially around the mouth. The change could also affect the temporomandibular joints and the ability of the denture wearer to function. To correct this, your denturist may recommend denture relining, which involves adding pink denture plastic to the inside of the denture to compensate for the lost gum height. If this is not sufficient, your denturist may decide to construct a completely new denture, especially if the vertical dimension has been reduced by 3 mm. Modern dentures are typically made from acrylic, though some still use porcelain. Although these materials are quite durable, deterioration and dimensional changes that occur over time are inevitable. This makes the dentures unstable and uncomfortable, and in need of replacement. Additionally, the pink denture plastic tends to lose its texture, coloration, and natural appearance over time, causing your teeth to look artificial. Deteriorating denture material also conceals microorganisms, resulting in bad taste, mouth irritations, and mouth odors. To maintain optimal oral health of your soft and hard tissues, and prolong the function and life of full dentures, it is essential that denture wearers keep regular check-ups with professional practitioners.